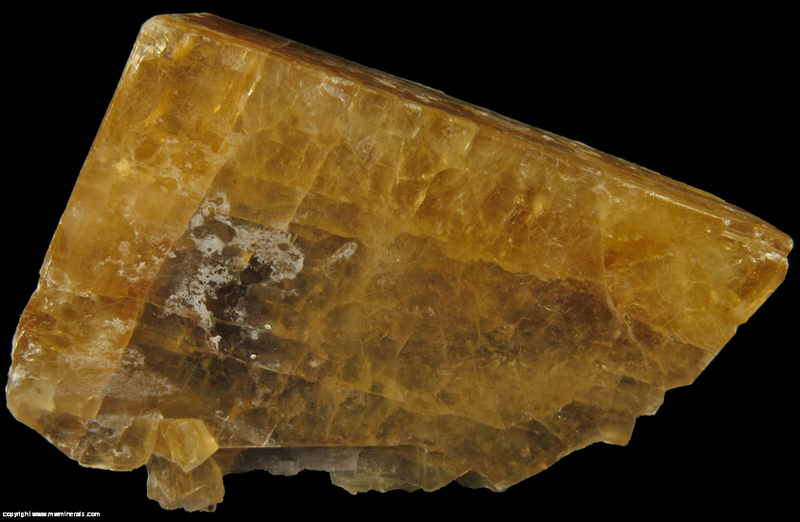 A large, single crystal of Barite with an attractive yellow golden color. The color varies a bit due to zoning. 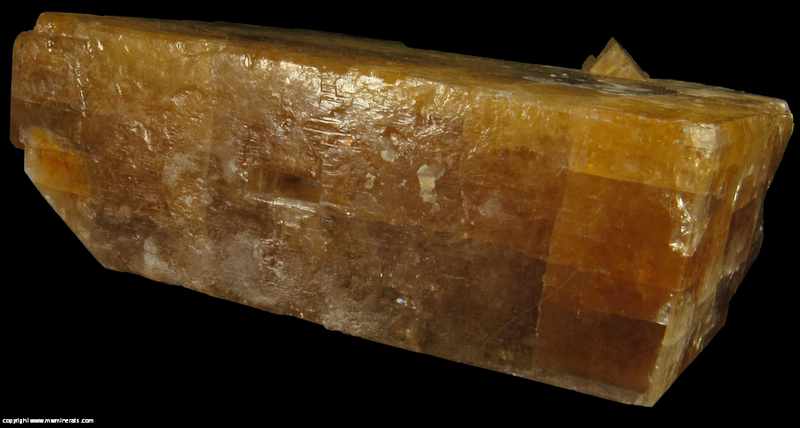 Near the center of the specimen, there is a dark gray area visible through the upper golden surface layers. 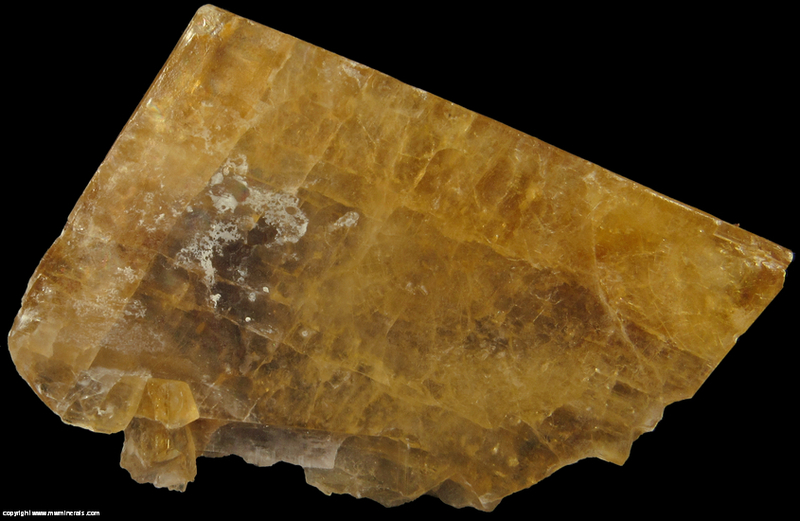 The surface has a high glossy luster. 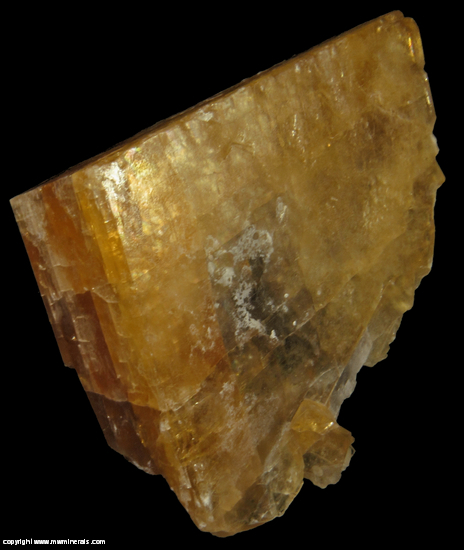 The location is famous for the golden Barite specimens found there which have become modern classics. 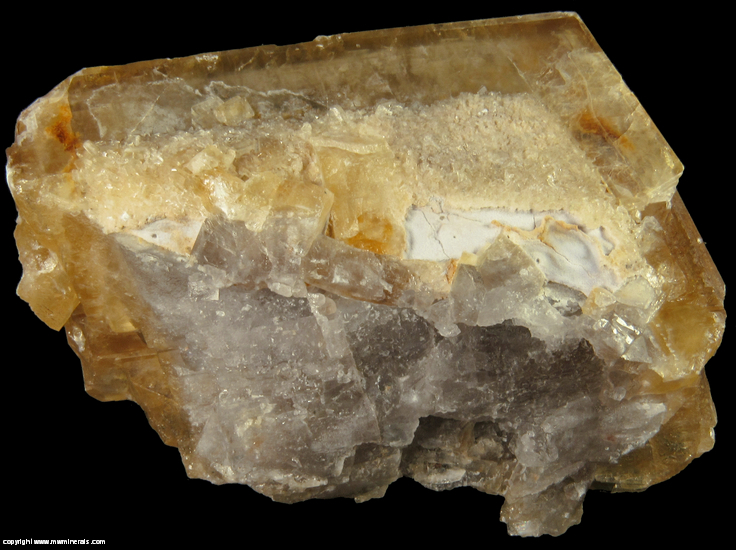 This is by far the largest single crystal I have ever seen from the location and considerably larger than any single crystal posted on mindat. 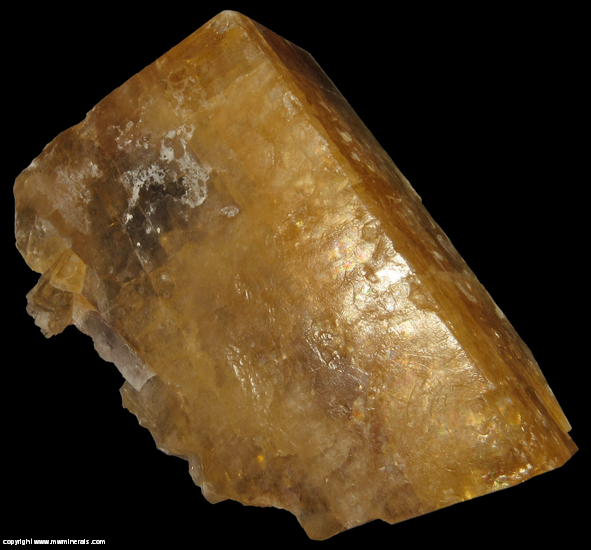 Note: because of the rhombehedral shape, the first measurement is from corner to corner and the second mearurement is pependicular to the first. The adit to the mine is at 12,500 feet (3810 meters) and was worked from 1968-1970 and again from 1975-1982 and produced 10 million ounces of silver. Flaws: There are numerous internal cleaves. 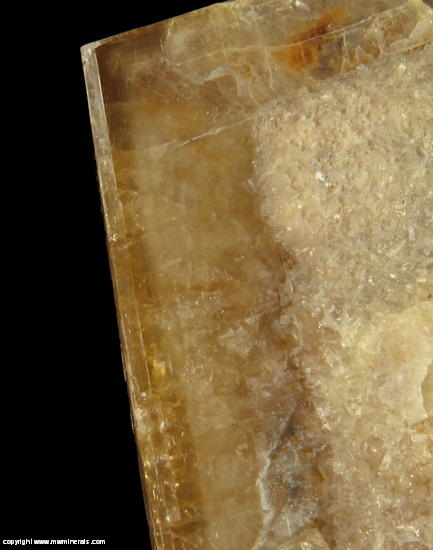 There are small cleaves on the two corners on the front of the specimen.